Do keep as many records relating to your pension as possible, including dates, letters and correspondence. You may well be asked for it down the line, especially if an employee queries what has been done and why. 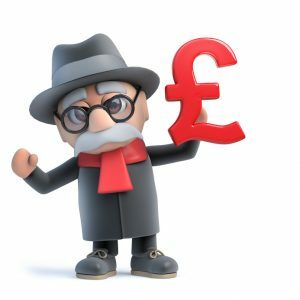 Do take time to educate your staff about pensions – how your scheme works, how they can opt in or out, why its important to save for after retirement etc. It’s a topic a lot of people know little about, so invest some time in it. Do use Docs Wizard to save you time and effort drafting multiple letters for staff! You don’t have to make life hard for yourself, so let Docs Wizard take some of the stress! Do insert a pension postponement clause into the contract of new starters – especially if they have a probation period! This will save sending out a postponement letter to all new starters. Don’t be seen to put any pressure on an employee or candidate to opt-out of your pension scheme. This is illegal and could result in a fine. In the same way don’t be tempted to or drawn into giving your employees financial advice – you are not qualified to do so. Don’t forget to submit your declaration of compliance to The Pensions Regulator. This must be sent off after your staging dates, and then after every restaging date (every 3 years). Don’t forget to offer your pension scheme to new starters. Any delays in following your legal obligations could lead to a large fine. Don’t automatically remove staff who fall below the thresholds. Once they are in, they are in! (unless they opt-out themselves). Forget to keep communicating with your employees – about when they get pension statements, when contributions are increasing, why pensions are important, how staff can increase contributions if they wish to do so etc. This is a complex and specialist topic so if you have had pensions ‘dumped’ on your desk then take some time to get educated about the topic so it feels less like wading through a muddy swamp everytime someone asks you a question about it.